In the genre of MMORPG games, Runescape is the premier game. After 18 years of release Games like Runescape is amongst the priority list of game lovers. All these popularity has encouraged the developers to make this game available in all the platforms. Such as Windows, Linux, Mac or Android and iOS apart from the web browser. 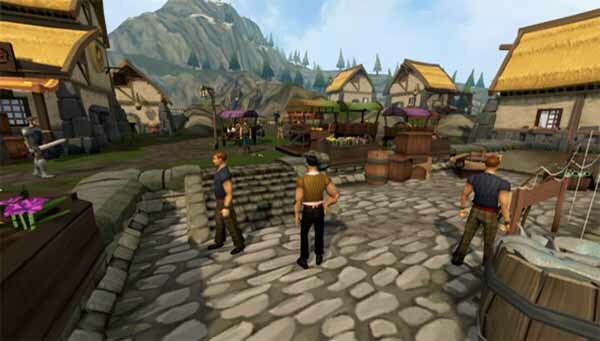 The gameplay runs through an environment of medieval age of a fantasy world called Gielinor. Most similar to other games of the genre you have to set your own goals and objectives. The game gives golden opportunity to showcase your gaming skills in playing the ques. Collecting runes by fighting with other players. You can interact with the other players via chats. In our following list, you will find similar Games like Runescape. Which offers a challenge to the gamer of similar stature and provides handful to entertainment through quests, puzzles and many more. 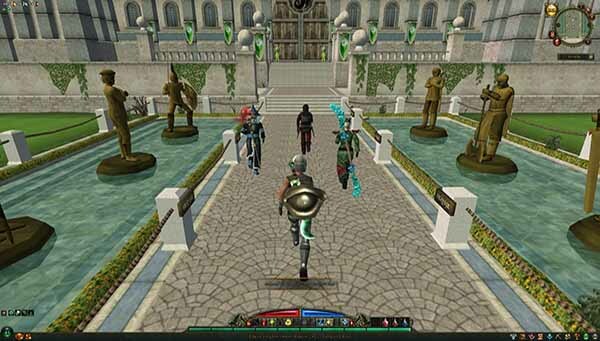 Darkensang Online is a classic example of games similar to Runescape which runs in the same environment of the medieval age. The game is remarkable due to its classic design and gameplay where you fight with the monsters and save your world. It is an online game you can play through the browser, but you cannot download and play. The game gives you the essence of a monster-infested world which is waiting for a dragon to come and invade. After the disappearance of the prince, you have to take charge of the world and save it from the evils. You have to choose among four categories of the characters like ranger, mage, unique dwarf engineer class or a knight. 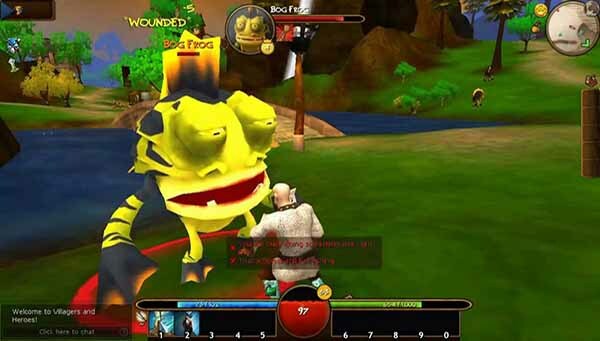 AdventureQuest Worlds or popularly AQWorlds is an adventure based online games of in-depth gameplay of MMORPG category. It has gained extensive popularity due to its environment of anime and playing with anime characters. The gameplay runs through a sublime main storyline. But the sidelines with tons of quests, events, advantage badges or PVP which makes the gameplay more interesting. Here also you have been given preference to choose your character with different skills which get upgraded as you play the game. The foremost important thing of the game is teleportation and time travel which are quite unusual in MMO games. 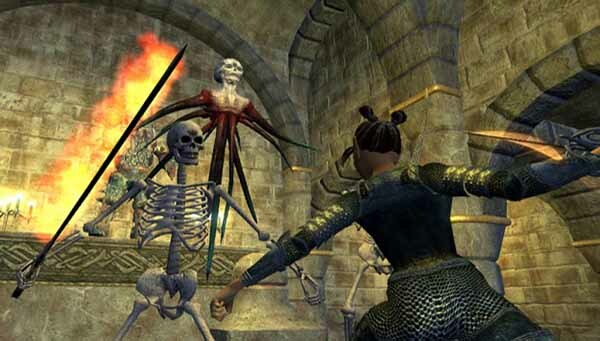 Everquest 2 is the game which enchants your gaming experience with numerous refinement and evolutions in gamer customisation and 3D fantasy than its earlier version. This game is an epic in its width and also has depth in the content of traditional gameplay travelling with a focus on the gamer vs environment approach. The game is a good vs evil set in the game plot of the devastated city of Norrath where the goods and evils stay in two different regions. The game has numerous side adventures apart from its original storyline. Unlike other game, Everquest comes with a tutorial which makes your gameplay easy to go. But before the real experience starts you have to choose one profession of your own. 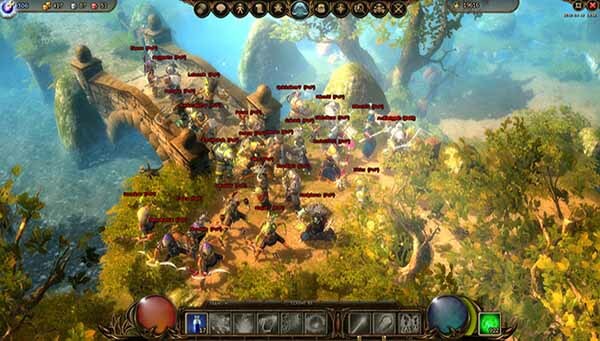 Another story driven gameplay with a large quantity of MMO content is Eldevin. A hasty battle between most devoted fighters of the kingdom of Eldevin and Risan to gain the throne of Emperor will drive you through a mesmerising storyline. Other MMO contents and quests are the bonus of this game. Your character is an amalgamation of several skills of different races of the world which makes you the superior power. The game gives you the option for the in-game purchase of items to conquer the battle. With all the liberty of character customisation and skill combination, this is a game of full throttle. Rift is another widely popular MMORPG game who can dethrone many alternative games to Runescape with its superior gameplay and great visuals. The game has already overgrown a friendly and challenging community to establish its presence in the long run. 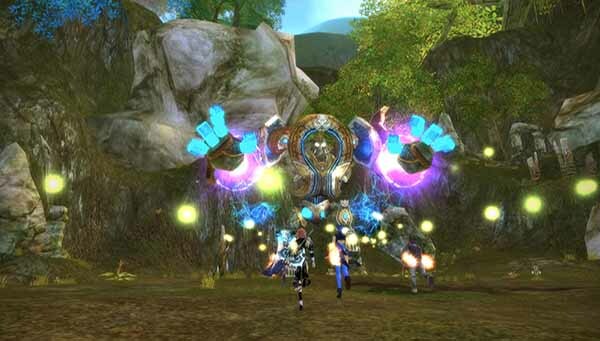 Similar in the basics of MMO games of conflict between two factions, this game has enhanced the concept of Rift system. Rifts are the dynamically generated treasured target from any of the six critical elements of the fantasy world Telara. You have to achieve the Rifts before that goes to evils hand. Based on this storyline the game comes with exquisite challenges which sometimes take your breaths away of an expert gamer. Rift is an excellent gaming experience with loads of complexity in the skill system and combat process which is a good alternate of Runescape. 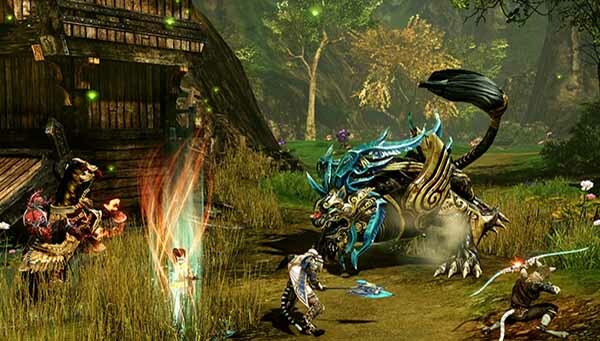 ArcheAge is near the top of the list of the MMO games with fleshed out experience which has overturned other games similar to Runescape through their integration of challenging features with building a personal world. You will experience the modification of the game world from one place to another as you follow your headway. Archeage gives you the liberty to mix and match different skills and produce a customised character to create combat chains. The traditional combat system has no additional feature in it. But the in-game other contents carry an impression which is equally essential to have a look. Packed with features like underwater housing and mount system, ArcheAge is a game you cannot leave aside. 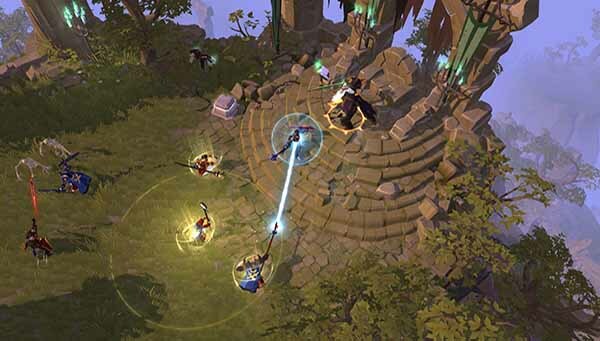 Albion Online has turned the concepts of MMO games through the game plot of Friendship, betrayal and war but reminds Games like Runescape in every move. This more of a capitalist Runescape without in-game shops but provisions of refineries. Much similar like player level this game provides a destiny board which changes the skillset and level of difficulty in the game. The extensive application of contents and features makes it difficult to trek down the game by ordinary skills. It will tingle your gaming ability to win over dungeons and deaths and gather mounts to reach to the end. The most appraising feature that has given an excessive achievement to the game is its cross-platform playing ability through PC, Android and iOS. You cannot expect all such in one game for free. So you have to purchase the game for the full version. Albion Online is relaunching as a free to play game but its coming soon on all platforms, do check out following link for latest updates. You can access the Albion Online game at official website as a free to play version on given link. Neverwinter is a highly fast-paced action game in the MMORPG genre with a feel of the single-player experience. 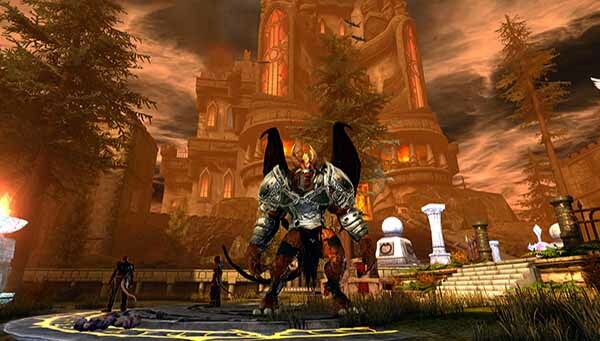 Experienced from earlier MMO games, the developers had presented polished contents and features with great visual effects in Neverwinter. 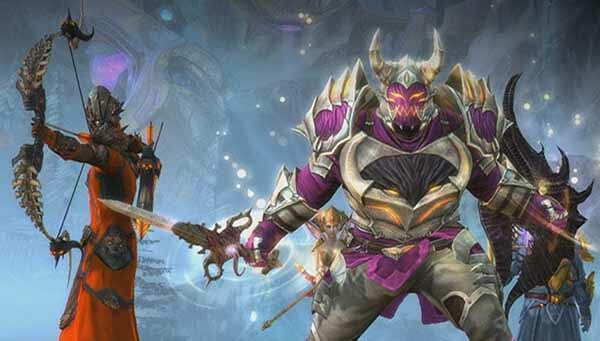 Step into the shoes of classic dungeons and dragons factions Neverwinter is all about fast track combats and effective responses to use the skills in a personal manner to win over many enemies. Functions to create your quest and sharing to others makes Neverwinter a must try for gamers who search for Quest driven runescape like games. Planet Calypso is a real-time game which correlates the virtual world with the real world through the introduction of an in-game currency convertible to real money. So playing the game if you earn to achieve some real thing this is your place to hunt. 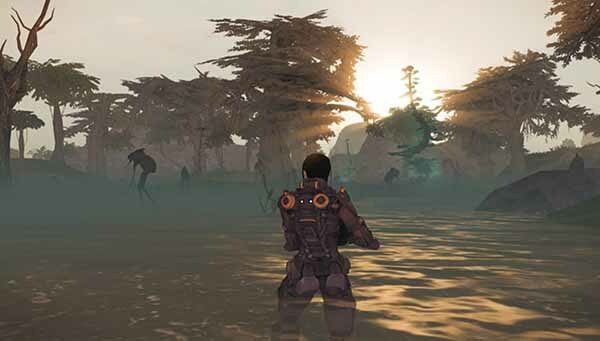 Planet Calypso traverses the game story through hunting monsters, mining and crafting in a visually impressive planet inside Entropia universe designed as much as realistic and dynamic in the world of the game. With an extensive storyline of science fiction, Planet Calypso is a productive game and gives immense excitement among the gaming community. Planet Calypso is free to play game available to download at official website. Runes of magic have gained the highest player base in the MMORPG community through its multiclass play mode. You can play two classes of a single character simultaneously in this game. The USP of the feature is the simultaneous enhancement of these two chosen classes. You can choose some elite skills as a combo in the game and conquer a large number of quests which is a unique experience hardly available in other MMO giants. With the combination of classes from a pool of 10 categories, you can play the guild seize battles which gives an altogather different experience. Unique features like crafting, pet, monster cards have made this game a winner in the race. Runes of Magic is free to play game available to download at official website. Villagers and Heroes is the new game of A mystical Land which gives you a feel the same vibe of Runescape. With its plenty of options in the profession and its simplicity Villagers and Heroes is altogather similar Games like Runescape. The game is an easy game to learn and provides a relaxing experience to complete quests like fishing, the collection of food. If you are tired of the games with excellent combat technique and hunting down your enemy, then this game gives you real pleasure. Villagers and Heroes is free to play game available to download at official website. The list of Runescape like games will not be complete without naming Wakfu. Another story based game played with well-designed Anime characters from the famous TV series has made the game quite enjoyable to play. 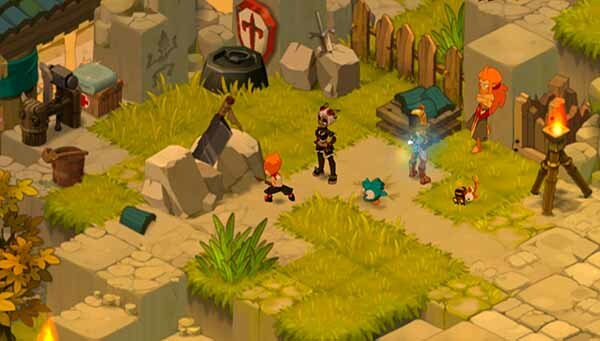 It is a sequel game of Dofus where lies the start of its storyline and leads to 1000 years afterworld. The strategic characters provide this game with new gameplay characteristics. Its tactical turn-based combat process, vast farming and crafting system, Wakfu probably provides all the contents that you want from an online MMO RPG game. Unlike similar environments of MMORPG, this game gives an outstanding ovation to Runescape. The above list provides a collection of Games like Runescape which has tried to emulate the same formula and presented differently. No matter if you are eager for an alternative or not, the above games will seek your attention if you are a lover of Runescape.